Military deception was an effective tactic used by the Allied forces against Italy and Germany during World War II. The main objective of military deception during World War II was to gain an element of surprise when launching an offensive and ensuring more security for their forces by masking their military objectives, plans, preparations and operations. Operation Barclay 1943: This operation was intended to cover up Operation-Husky in which Allied forces were to attack Sicily. Sham attacks were framed on South France and Balkans to include Crete and Greece and maintain element of surprise during Operation Husky. Germans would allocate their resources elsewhere and not in strengthening their defenses in Sicily. This would keep Italian forces present in Adriatic Sea away from Sicily and closer to Balkans. To this effect, a sham army was created by Allies in East Mediterranean area called Twelfth Army comprising of fictitious divisions. The Allies took advantage of the fear of Hitler who suspected that any attack by Allies on Europe would be through Balkans. Broadcasting of these deceptions was made using double agents, sham encampments, false communications, and recruitment of interpreters from Greece and Collection of Greek currencies and maps. Operation Mincemeat: This operation was in conjunction with Operation Barclay. Allies left a corpse on the coast of Spain with a briefcase which appeared like their courier carrying plans of Allies for invasion of Europe through Greece. The Spaniards forwarded these to Germans. Along with communications tapped from enigma radio transmissions, Germany got convinced of the plan and prepared to defend Greece. These operations made attack of allies on Sicily successful due to surprise element, caused Germans to misallocate force deployment in Balkans from 8 to 18 divisions reducing their defense in Sicily and Italy, caused overestimation of allied forces in east Mediterranean by hundred percent and convinced Germans of allies attacking through the Balkans. Zeppelin: Aimed at making Germans maintain large presence in Balkans and neglect North France by landing decoy aircrafts in east Mediterranean and convincing that 39 Ally divisions were available for attacking Balkans. A fictional Twelfth army was planned to attack Greece, while the American Seventh army attacked Yugoslavia. 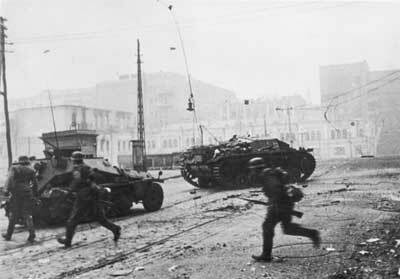 Soviets were convinced to conduct amphibious operations on Bulgaria and Romania during these attacks. 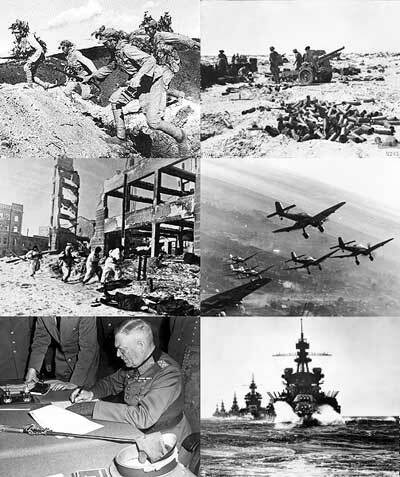 World War II started in 1939 when Germany attacked Poland. Despite being one in the Axis Powers, Italy decided to stay neutral. This was not as per the Pact of Steel, which prohibited war attacks by either party without the other till 1943. The military history of Italy during World War II is really interesting. It gives a view of how Italy initially stayed away from the battlefield and then forged ahead to join the war even though it had outdated military weapons and equipment. More..